With less than a week to go to the Star Sailors League Finals in the Bahamas, the 25 world class skippers and crews are getting ready to fly to Nassau. So too is the expert commentary team, which this year is headed by America’s Cup expert Peter Lester, backed up by double Olympic Champion and presenter of the CNN Mainsail TV programShirley Robertson. Providing expert insight into how to race the Star keelboat is Mark Covell, who won Olympic silver at Sydney 2000 crewing for Ian Walker. This will be a second visit to the SSL Finals for Lester, a former World Championfrom New Zealand who these days provides TV commentary for the biggest events in grand prix sailing, including the Olympics, the America’s Cup and the Volvo Ocean Race. Winners from every part of the sport will be represented in Nassau this December, and Lester is relishing the prospect of 25 crews going at it in a winner-takes-all, aggressive knockout format. “For me, the excitement is seeing so many ages and generations of old, current and emerging talent all competing against each other in an iconic boat. For Robertson that final was also one of the reasons she is so keen to return this year. “I still can’t quite believe how close the Final was last year. Talk about dramatic! Watching Paul Goodison, the Star class rookie, win by only a second – brilliant sport. Not sure Goody could believe it either. 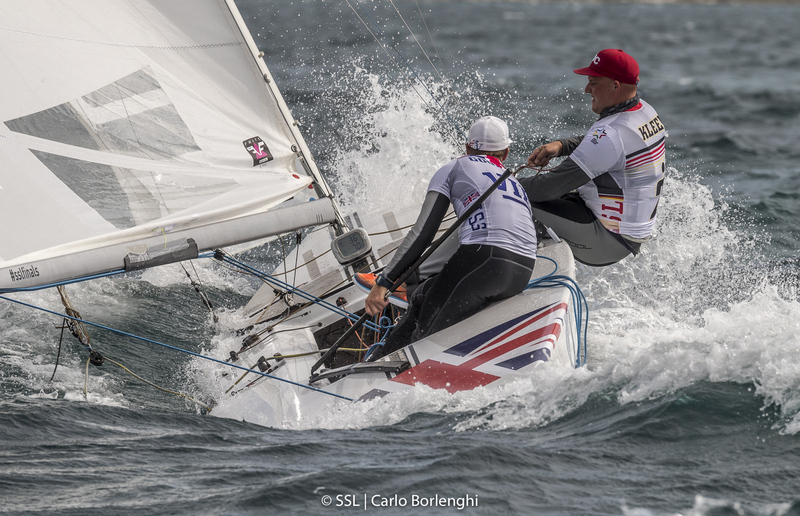 Behind the scenes, experienced sailing journalist James Boyd will be interviewing the competitors and analyzing the racing in his daily news report, whileSebastien Guidoux coordinates the SSL live broadcast. Guidoux commented: “We’ll go live from Tuesday to Saturday, starting the show 30′ minutes prior the start of the racing (finals.starsailors.com/schedule/). Then every evening when the sailors come back ashore we’ll have a “Facebook live mixed zone” where we will get a few key sailors and ask them questions from the global audience, make sure you drop yours at info@starsailors.com or directly during the Facebook live.” For European viewers in particular the timing works well, with 5pm in Nassau equating to late evening in EU countries, and just as the working day is coming to an end in the United States and South America. There will always be a daily highlights show and final film made of this year’s SSL Finals.